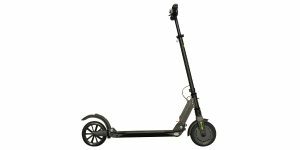 Heavy Duty, 18" x 2.5"
The Voltbike Metro+ is an electric scooter that looks much like a Vespa. 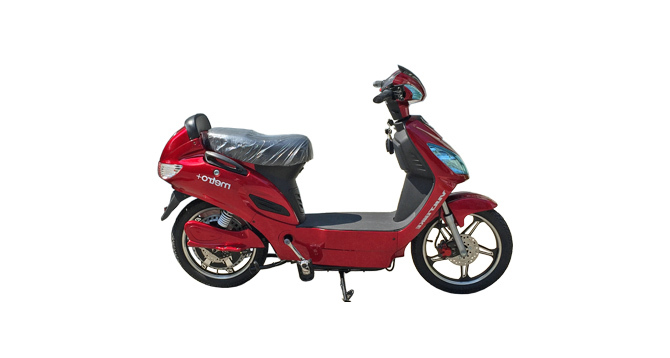 It has a smooth, gearless motor and uses heavier but more affordable Sealed Lead Acid batteries. For right around $1,000 you can order this thing online and have it shipped (in Canada or the US) and it comes with a decent six month warranty. 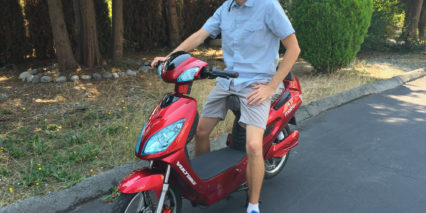 With a top speed of ~20 mph (~32 kph) and a range of 30+ miles per charge, it could be an excellent commuting platform and one that wouldn’t require a license or insurance to operate because technically it’s classified as a bicycle. 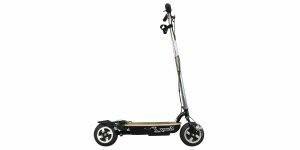 It only offers one gear for pedaling (like many children’s bikes) and this gear isn’t low enough for starting given the ~150 lb footprint of the Metro+ or keeping up as you reach the 20 mph mark but it’s alright around 7 mph. 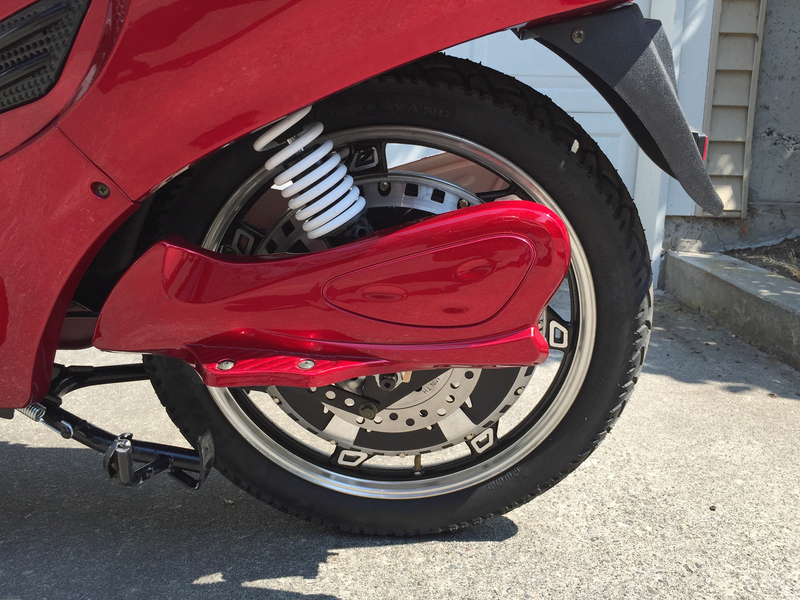 The pedals do fold and that’s nice because they stay out of the way when riding under motor power using the twist throttle. I do like that they’ve included pedal assist here but honestly, after a few pedal strokes on flat paved ground you start to go faster than you can keep up with the pedals. 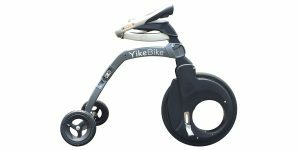 Thankfully, since it uses a cadence sensor, it doesn’t really matter if you’re contributing by pedaling, just that you keep moving your feet. 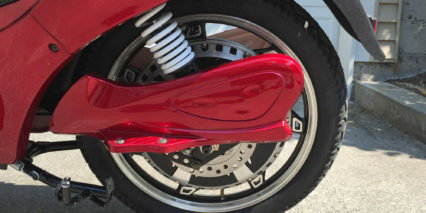 This is a unique way to stretch your legs and give your wrist a break from the twist throttle but without an adjustable height on the saddle and the wider seat design you could get chaffed thighs. 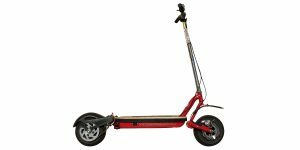 To be frank, this is an affordably priced but also somewhat cheaply made scooter. 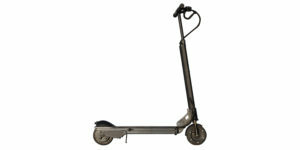 The locking storage compartments can be difficult to close, the plastic is thin and the battery technology is basic. 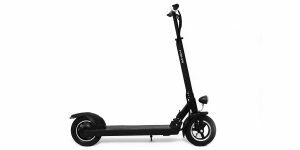 If you don’t mind the extra weight, stiffer suspension and limited pedaling use then it’s actually pretty cool and you get a few bonuses with extra lights and a wireless start with alarm built in. 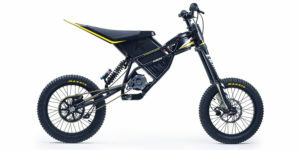 Powering the Voltbike Metro Plus is a 500 watt nominal, 1,000 watt peak gearless direct drive motor. 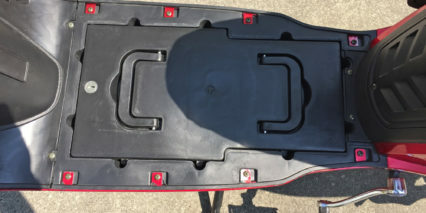 These are often considered “bulletproof” by ebike shops because there are no moving parts inside, just bearings connecting the hub to the axle. 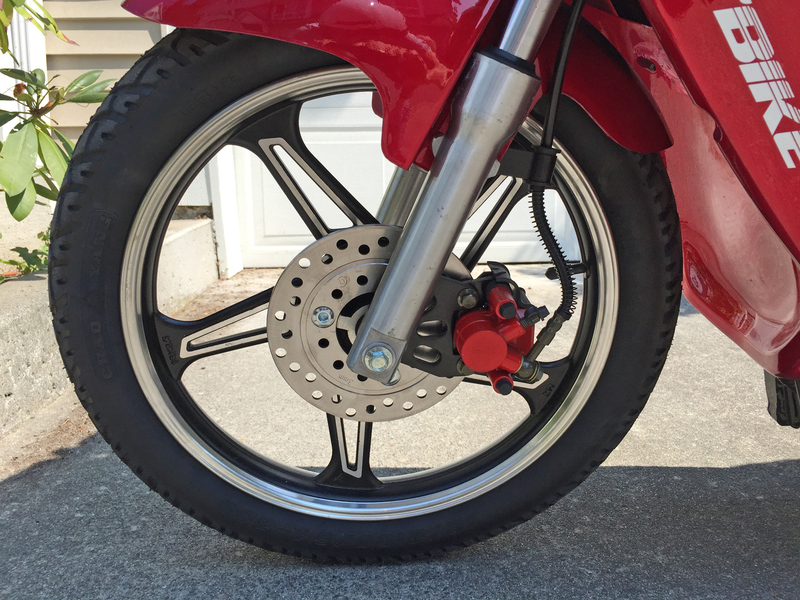 A couple of downsides are their heavier weight and limited torque at low speeds along with some cogging drag (the magnets inside repel instead of freewheeling like a geared hub). Sometimes motors like this are setup for regenerative braking but that’s not the case here and you usually only get ~10% efficiency anyway so it’s not a huge loss. 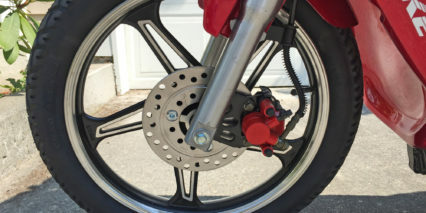 I appreciate the hydraulic disc brakes for stopping once you are up to speed however, given the ~150 pound curb weight of this thing it’s important to have solid brakes. 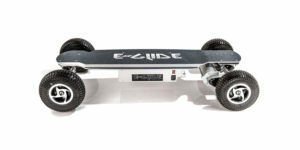 Powering this e-scooter is a large 48 volt 20 amp hour battery pack. 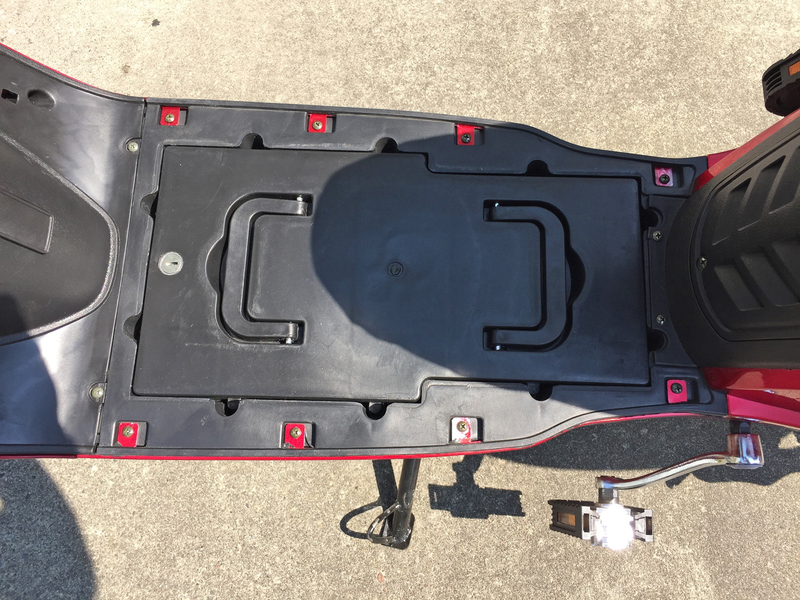 I believe it consists of four 12 volt SLA batteries all grouped together and they are stowed in the footrest platform keeping weight low and center for improved balance. Covering the packs is a thin rubber pad that doesn’t seem to have any attachment points, be careful not to lose this piece as it will keep the battery concealed, clean and protected from water to some extent. 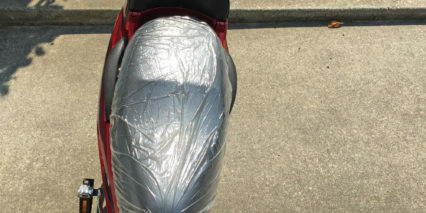 I was able to weigh the battery and it’s ~63 pounds which is nearly half the weight of the bike. The Sealed Lead Acid technology inside is cheaper than Lithium-ion and if you need to replace this one it’s going to cost ~$500 which isn’t too bad for how much capacity it offers. 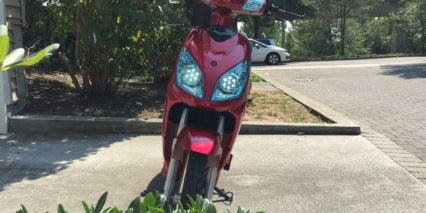 The batteries power the motor along with the LED headlight and tail light (there’s a second set of headlights on the handlebar cover that let you aim the beam) and the turn signals, security system and horn. It’s neat that so many features are offered and that they all run off of one source. 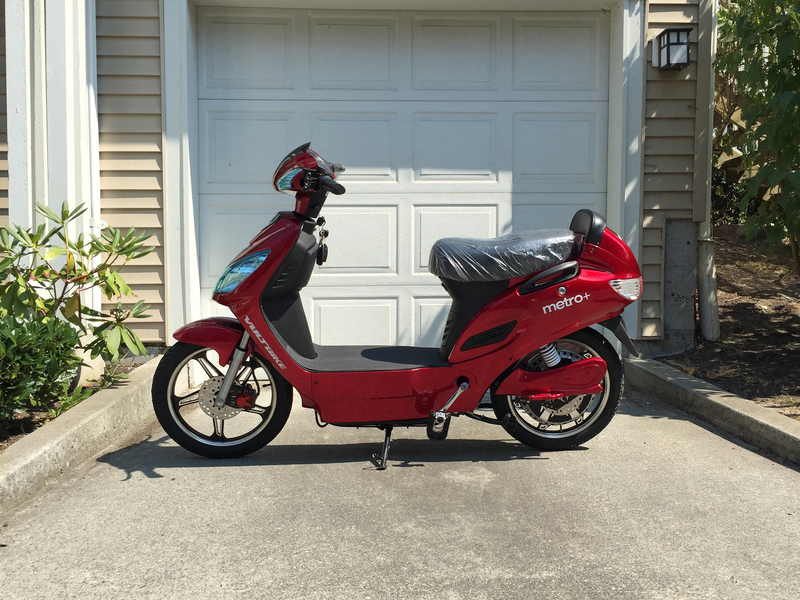 One of my favorite parts about this scooter is how feature rich it is, even if some of those features are lower quality. 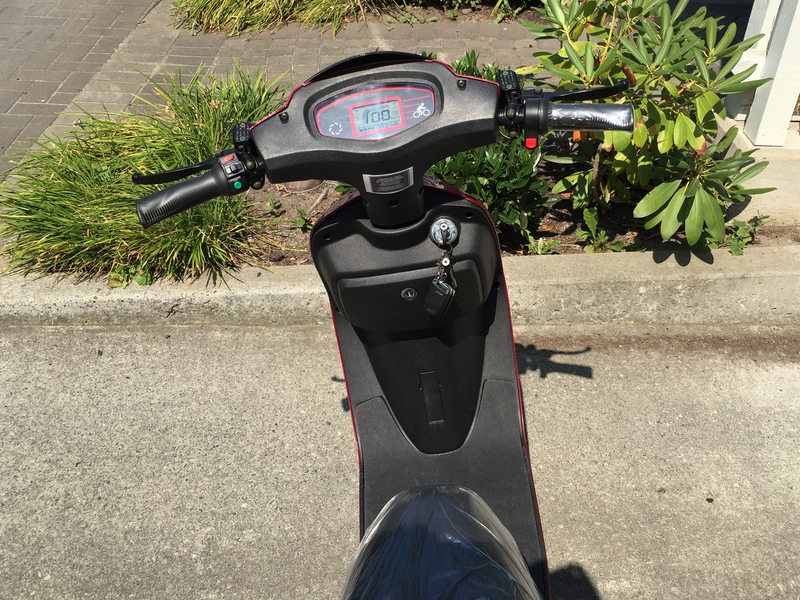 You can start the Voltbike Metro+ two ways, the first is by inserting the key and turning the ignition on. 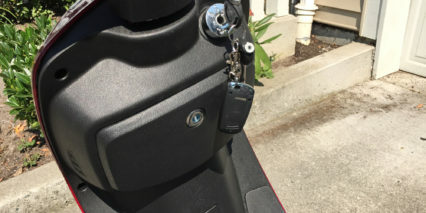 The second is to use the included wireless remote to start the bike. 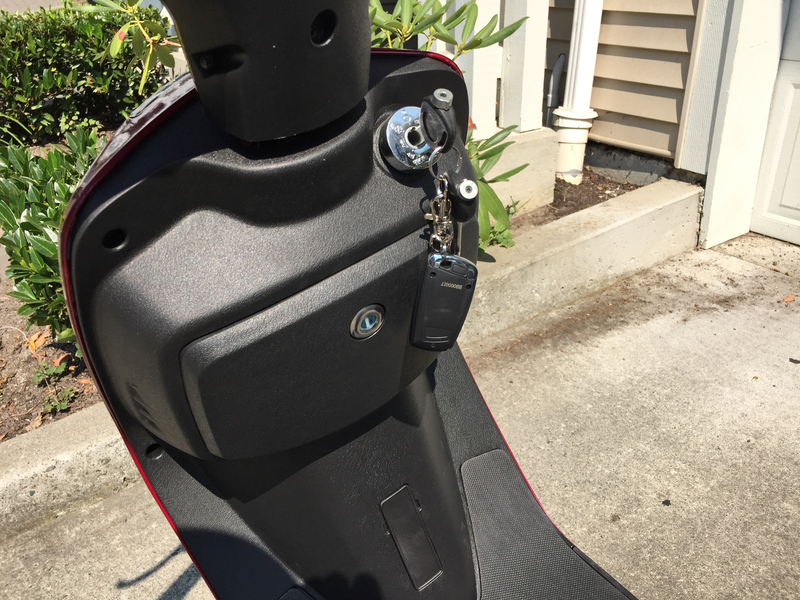 I like that you don’t have to use the keys and leave them in because they can rattle around and even contact your knee while riding if you have longer legs (I’m ~5’9″ and the bike was just about right but getting close to tight when steering). From here, the LCD console lights up showing your battery level, speed and odometer. It’s backlit with a blue light that looks cool and a light icon and turn signal indicator appear when you activate those features. 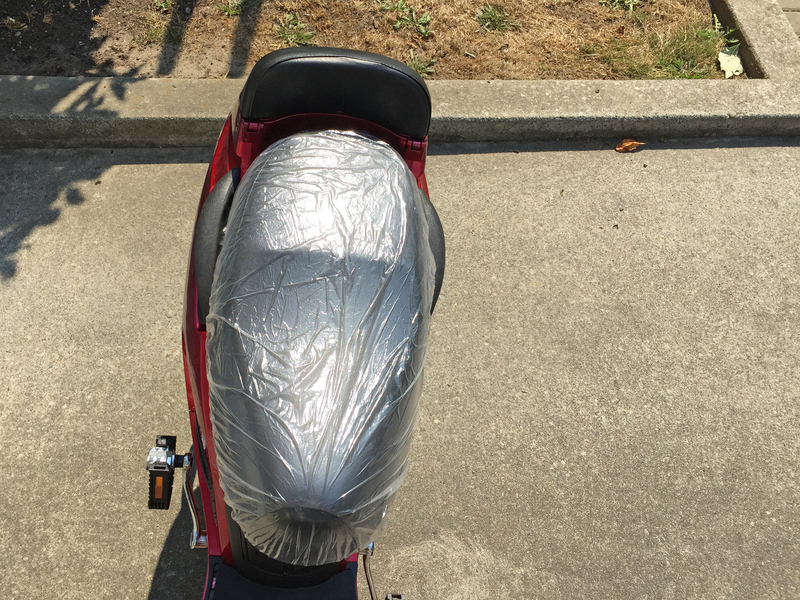 I was surprised that the bike didn’t have rear view mirrors but this actually makes it a bit easier to fit through tight spaces and given the lower speeds and “bicycle” designation I guess it’s okay. 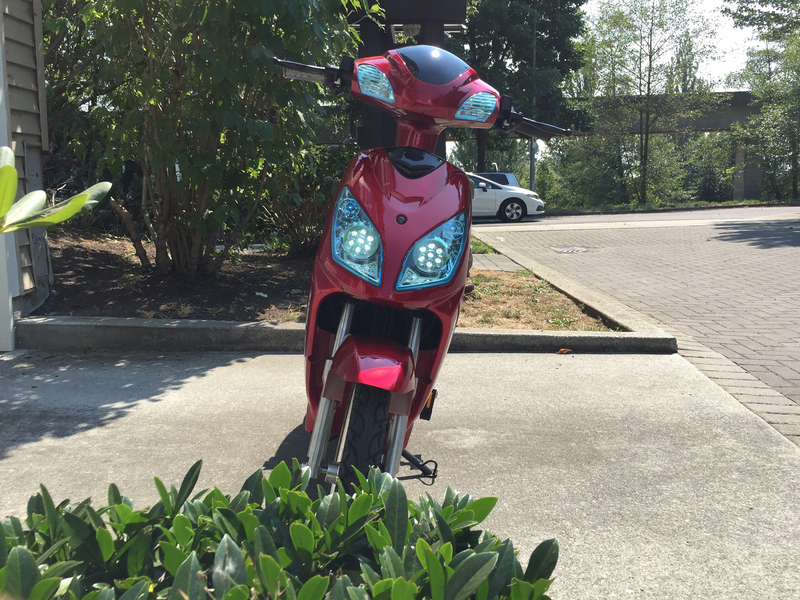 You get a lot more visibility with this thing than a traditional bicycle and I like the horn. 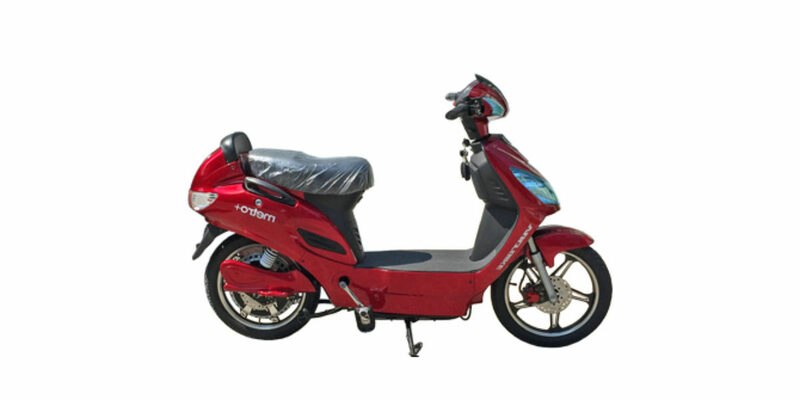 To get the scooter moving you simply twist the right grip and power begins to flow… it’s a variable speed design which is nice because you can choose to ride slower in crowds or on unstable terrain. 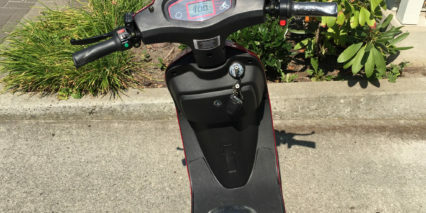 There’s a red button near the right grip that activates or de-activates pedal assist and I mostly left it off (I’m so glad they actually let you turn it off so you don’t accidentally bump it while riding). As mentioned earlier, the pedal assist is not variable speed, it basically turns the power on at full speed whenever you move the cranks. Maybe in the future they could offer different power levels and then pedal assist would be more useful but as it stands, you are pretty quickly outpaced by the motor and are left trying to keep up or reverting back to the twist throttle. This is a very interesting product, Shame there isn’t any place to get a look at or hands on experience, The price is cerrtainly right. 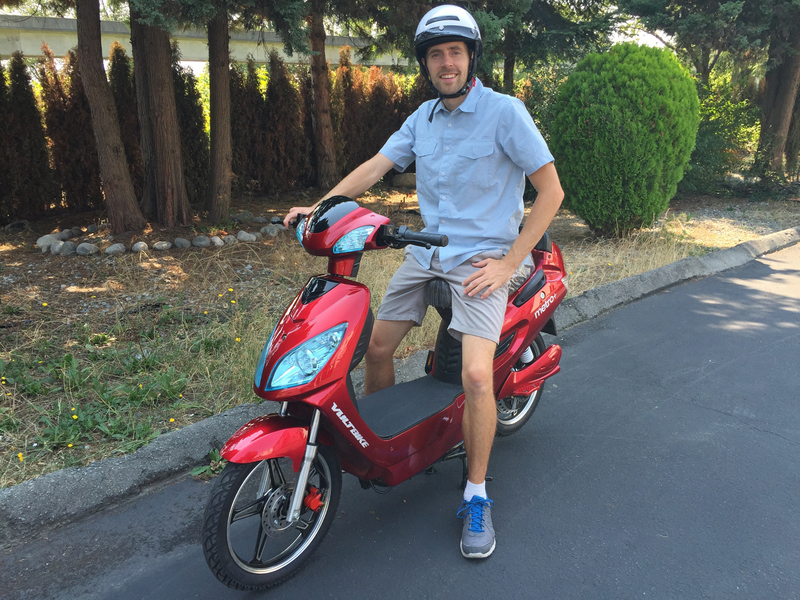 Yeah, that’s the tricky thing about fringe electric vehicles… In my experience it’s possible to find a variety of hybrid bicycle/scooters like this across the US but there isn’t one major standard and many are very cheap and lacking support. 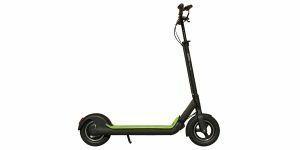 I feel like the Jetson Scooter and GigaByke Groove are becoming more common. 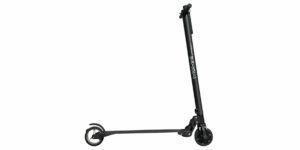 The price listed is not correct, on their web site it is $969 + shipping. That is $70 to a COMMERCIAL address, an additional $50 to residential addresses. Great review and thorough video. Thanks! Hi Kat, I’m not sure on this either. 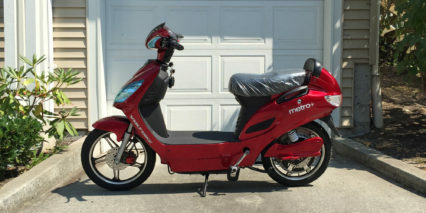 Does VoltBike still sell their Metro Plus? It seems like they have mostly switched to electric bicycles now.